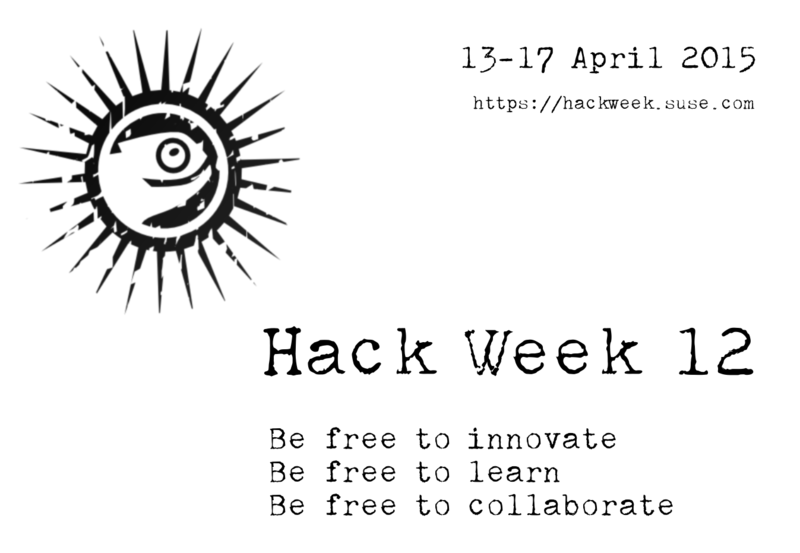 Hack Week, a week where openSUSE/SUSE hackers experiment without limits! It’s the opportunity to innovate, collaborate across teams, and learn. The only rule is: Do what you want, but do it! Many openSUSE/SUSE hackers use this opportunity to work on an activity of their passion and judging from the submitted ideas on hackweek.suse.com there is plenty of passion in the community! Be it porting openSUSE to new and exciting hardware (Firefly-RK3288 or Intel Quark X1000) and architectures (MIPS). Improving our tools like OpenQA, YaST or OSEM. Making the life of openSUSE users more secure with better disk encryption, SSL pinning or a GNOME password manager. Nerding off with improving disassembly in gdb, porting a fake signal optimization to kGraft or diving into functional programming together. Or how about some more earthly passions like improving yourself or simply jamming together to improve Free Software? We are sure that in the end, the 12th incarnation of this event, will give birth to one of the next big openSUSE/SUSE innovations. Like so many Hack Weeks before have! Just think about zypp and zypper, the openSUSE ARM port or YaST in Ruby. So when next week is Hack Week, support the openSUSE/SUSE hackers where you can when they explore strange new languages, seek out new tools and new communities, when they boldly go where no hacker has gone before!